My mother told me when I was a young girl that when her mother lay dying in a hospital bed, drifting in and out of consciousness, she would say that the children were coming to get her. My mother asked her, “What children ?” She then told my mom that the children of Fatima were coming to get her and take her to God. 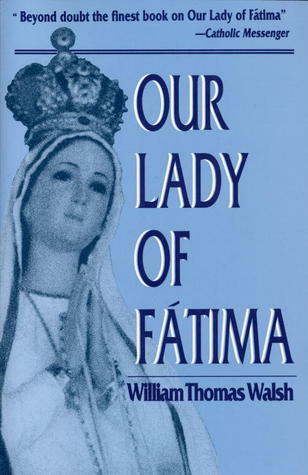 Years later I was in a used bookstore, killing time while waiting for my daughters to finish Saturday morning dance class, and I saw a beat-up paperback book called Our Lady of Fatima by William Thomas Walsh. Thinking of my mother’s story, I bought the book and read it cover to cover in one sitting. With both parents having been raised Catholic, I am, as they say, a cradle to grave Catholic. However, I did not know much about Fatima when my mother first told me of her mother’s final hours. After reading Walsh’s book, I was overwhelmed by this story. I followed up with the story of St. Bernadette’s apparitions of Mary at Lourdes. While compelling, I was more fascinated by the story of the three children at Fatima, particularly the actions taken to try to make them retract the story of Mary’s visits to them. The children were separated from each other at the local police station and each child was told the others were being tortured for lying. The children remained steadfast in their stories and refused to recant. When moving overseas in 2002, I had hoped that I would make it to Lourdes and Fatima, but it didn’t happen. My daughters and I, along with a friend and her daughter, did visit a lesser known site of Marian apparitions, Our Lady of Beauraing, located near Namur, not far from where we were living in Waterloo, Belgium. 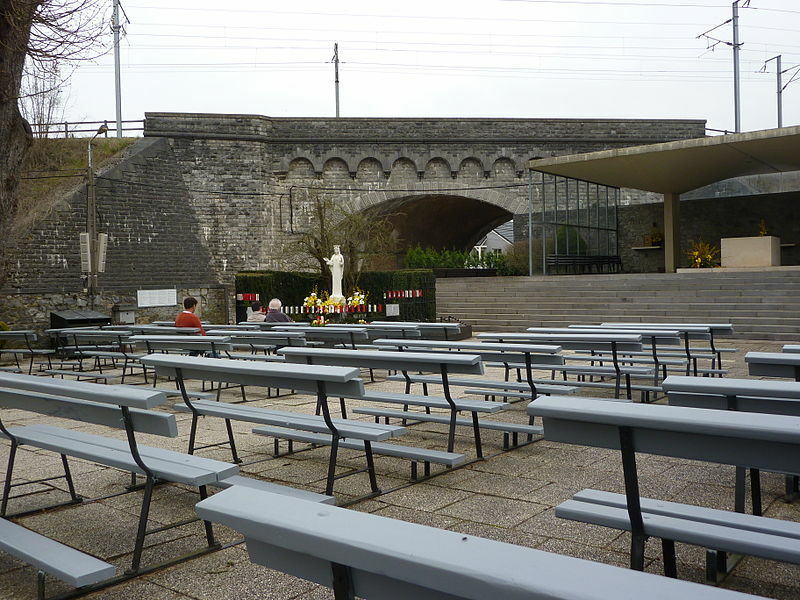 Belgium boasts yet another site of Marian apparitions, in Banneux, about 50 miles from Beauraing. The story of the five children who were visited by Mary in Beauraing is a very moving story, similar to Fatima in the disbelief by town officials who held candles to the feet of the children as they knelt in the school yard praying as Mary appeared to them. The children experienced no pain from the candles being held to their feet and remained trance-like until Mary left them. As a result of my self-prescribed study of the Marian apparitions, I began to think about the rosary in a different way. 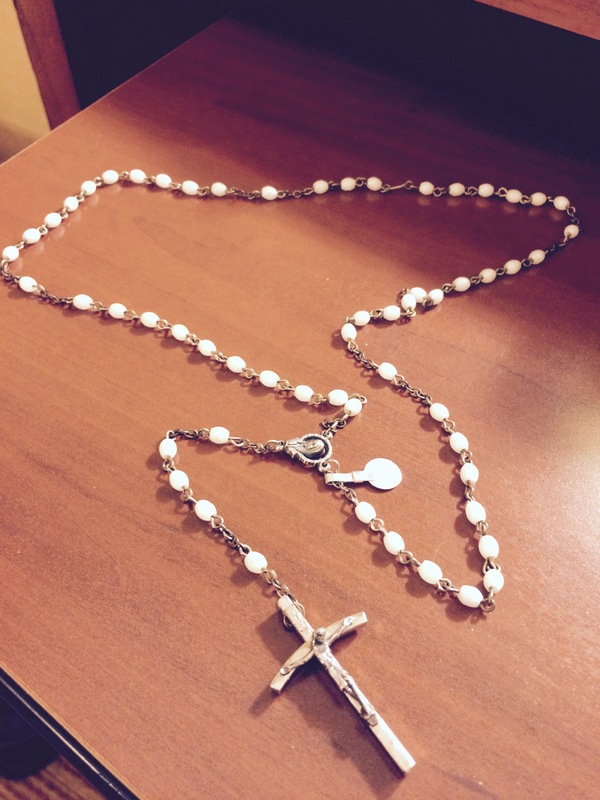 Growing up, we were not a family to gather together and say the rosary. My dad did not like getting to church too early, because some parishioners would be saying the rosary together, out loud, and that bothered him. For years after learning more about Fatima, though, I began saying the rosary (silently) before Mass. In 1993 my mother was very ill for an extended period of time and suffered through many surgeries, twelve in a two-year period of time. I spent a lot of time in hospital waiting rooms when she was in intensive care and in her hospital rooms when she was well enough to be moved out of ICU. I always had my rosary with me. When my mother’s cousin, Anna, came from Scotland to be with my mother after these surgeries, we talked a lot about the rosary and about Mary. Anna’s mantra was always, “Our Lady will not let us down.” I prayed the rosary more fervently than ever, with Anna and alone as well. It was through Anna that I truly felt I began to experience my faith as an adult, that it was mine–not just something I had inherited from my parents. The peace I felt praying the rosary during those difficult times was of great solace to me. Once when I was home in Maryland, in 1994 I believe, I received a call that my mom was back in ICU in Louisiana and not doing well at all. I was on the telephone in my bedroom (landline) and I remember reaching into my night table drawer for my rosary while I was talking to my brother. As soon as the conversation ended, I started a rosary then and there. I remember asking Mary to please spare my mother, to allow her to recover to see my daughters grow up, to let them have the opportunity to know their grandmother. This was important to me because my mother’s mother died when my mother was still in high school, so I never knew my maternal grandmother, or my maternal grandfather, who died shortly thereafter. My dear mother died in 2007, just a year before my older daughter graduated from high school. She didn’t get to see the wonderful young adults my girls have become, although she certainly knew and loved them up to the end of her life. In fact, in April of 2007 we spent Easter with my parents in Louisiana, attending the Easter vigil Mass together. My mother was in relatively good health then, which made her death in August of that year even more shocking to us. I have a great photo from that night of my mo m standing in between my two daughters, the three of them caught in silly laughter, a rare thing since my mom, raised in the Scottish tradition of being reserved and restrained, seldom laughed out loud. This essay is being written on Holy Saturday, the “silent” day in the Catholic church. We are between death and life, after the crucifixion and before the resurrection. On this day we think of Mary, a mother who has experienced the death of her son, who waits at his tomb. We wait with her in this quiet time. Tomorrow is Easter Sunday, and our family will go to Mass and celebrate Jesus rising from the dead. I will take time to say the rosary and to give thanks for the gift of my faith, given to me by my parents at birth, but a gift I nurtured and fostered through attending Mass, through receiving the Sacraments, and through prayer, through devotion to Our Lady and the rosary. Happy Easter!